Usage of QR Codes is rampant in industries such as marketing, retail, and education. 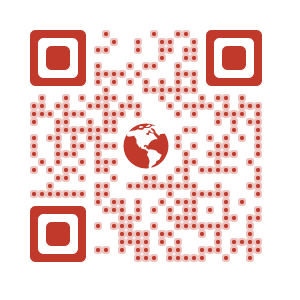 For the unaware, QR Codes are 2D Barcodes that links to information such as videos, pictures, and text. To read this information, all you need is a smartphone with a QR Code scanning app. It is well-known that QR Codes are popular globally, particularly in Asian countries such as Hong Kong, Singapore, and Thailand. The Southeast Asian country of Malaysia is no exception. Besides using credit card and debit card, customers can also make payments using BingoBox mobile app. With BingoBox mobile app, customers need to scan a QR Code on the app. And then they can place their items on check-out counter to know the total payable amount. In Nov 2016, Sabah Road Safety Department and Shell used QR Codes to spread awareness on road safety in the Malaysian city of Sabah. 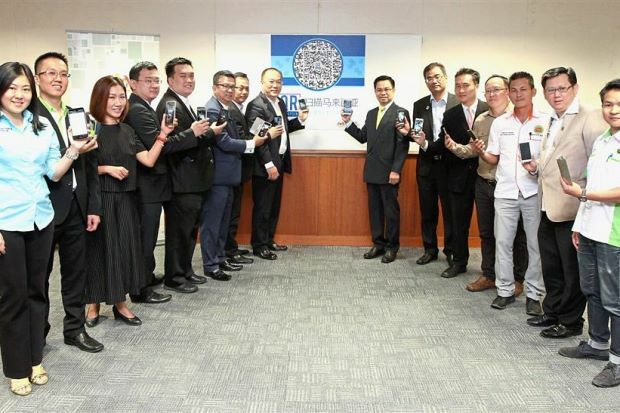 The QR Code launch marked World Day of Remembrance for Road Traffic Victims. On scanning the QR Code, users could view tips for safety compliances at petrol stations. Besides this, the QR Code also linked to seven road safety tips to reduce accidents. The department has also engaged taxi companies to install QR Codes in cabs. Tourists can scan the QR Code to learn about road safety and also get emergency contact numbers. In 2017, Volcano Nameplate, a company based in Malaysia planned to launch security number with QR Codes to curb counterfeiting. Taking a cue from their counterparts in India, Malaysian schools are set to adopt QR Codes. In Nov 2016, teachers from Zilla Parishad school, Pune held a QR Code education workshop. Teachers from Malaysia and Thailand learnt how to use QR Codes in textbooks. Adding QR Codes to textbooks makes learning more interactive and increases student engagement. 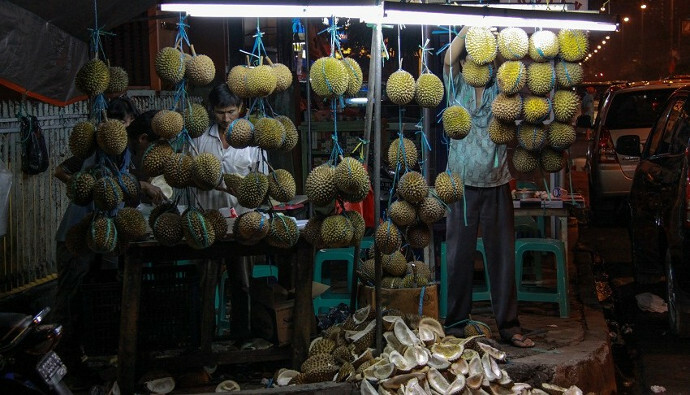 Addition of QR Codes to boxes has increased durian’s sale in China by 20%. The QR Codes also allows retailers to track number and location of scans. In Aug 2016, SAME announced a financial roadshow in Malaysia. The roadshow featured SAME’s Malaysia QR Code. This was to promote QR Code as an effective marketing tool. Also see what are the latest statistics on QR Code usage worldwide. In 2016, Double A, a paper manufacturer, launched the 1Dream1Tree app in Malaysia. The app helps users plant paper trees in support of the environment. Using the app, users can scan the QR Codes posted on the packaging of Double A’s paper. Users are then directed to a website where they can activate planting of a Double A paper tree. By Aug 2016, Malaysia donated 7,759 trees using the app, making it the highest donor in the list. 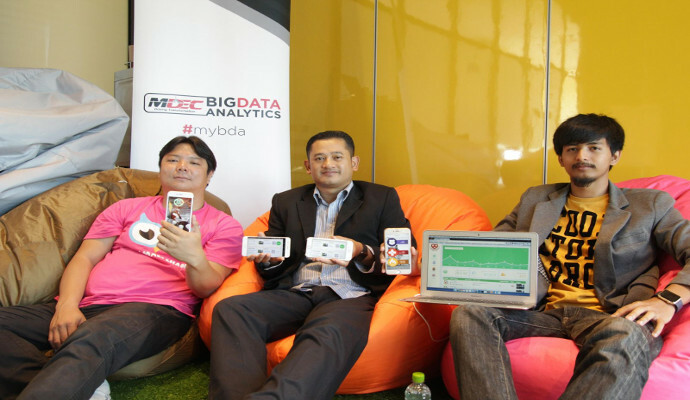 Three friends, Muhammad Adrian Wong, Mohd Hafizuddin, and Muhammad Azlan Shah have developed WatchUs. WatchUs is an emergency response app developed on iOS. It comprises three mobile apps that connect citizens to many emergency teams. The app’s developers also plan to help victims using QR Codes that can unlock an e-locker. Also see how Malaysia’s loyalty app uses QR Codes. 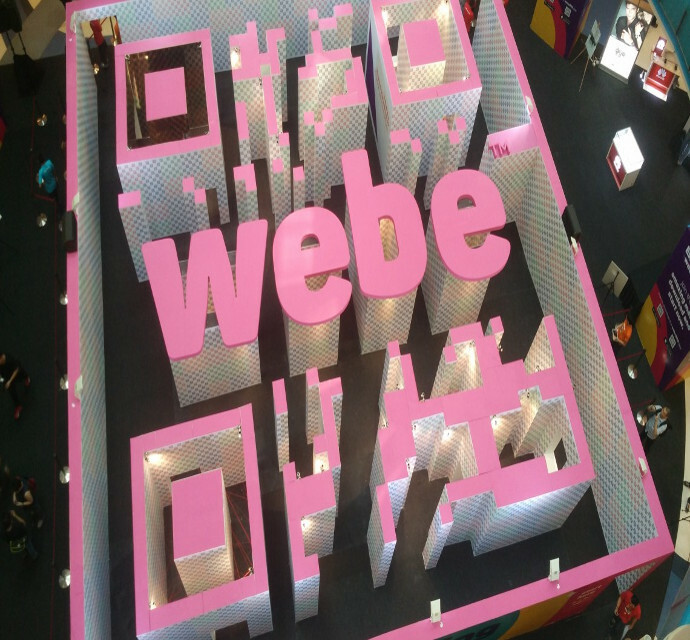 The company also set up a giant QR Code maze which contained 12,000 QR codes. Participants got 60 seconds to scan as many QR codes as they could. Each QR Code linked to a gift for the participant and could be scanned only once. Gifts included discount vouchers and smartphones. 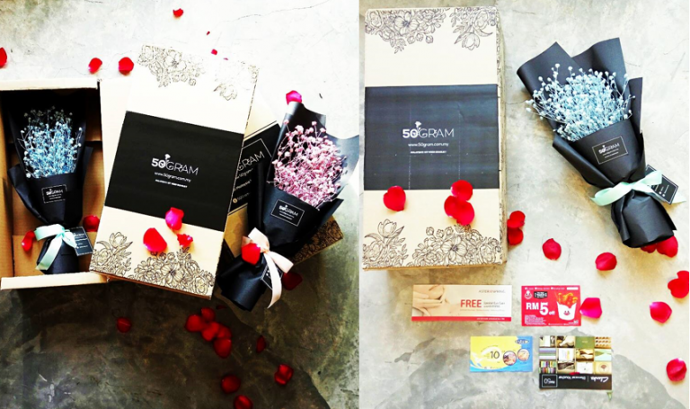 50Gram is a startup that adds QR Codes to their flower bouquets. After placing an order, the user can choose to upload photos on 50Gram’s website. The 50Gram team edits the photos to make a video. The QR Code on the bouquet when scanned, links to the video. Eye Port is a startup that combines e-commerce and automated machine using QR Codes. 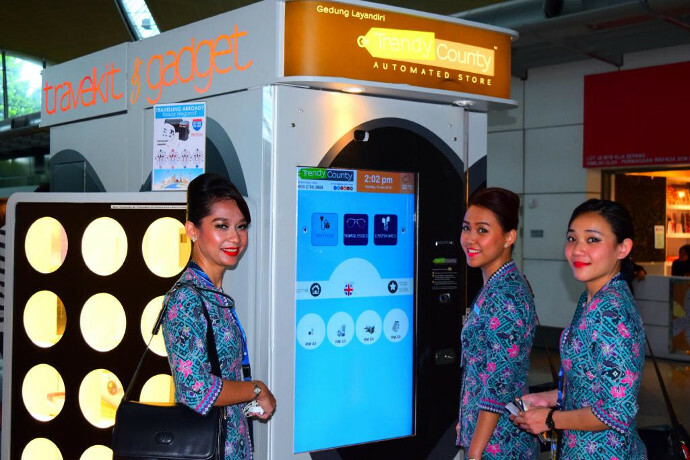 The automated machines (vending machines) are at high traffic areas in Malaysia. The QR Codes on these automated machines help tackle another major issue with vending machines, product size. To buy an item, the user has to scan a QR Code and make a payment. The item then gets delivered to the user via mail. The user can also collect it from specific stations. Currently, Eye Port sells sunglasses, smart phone cables, phone covers, and memory cards. 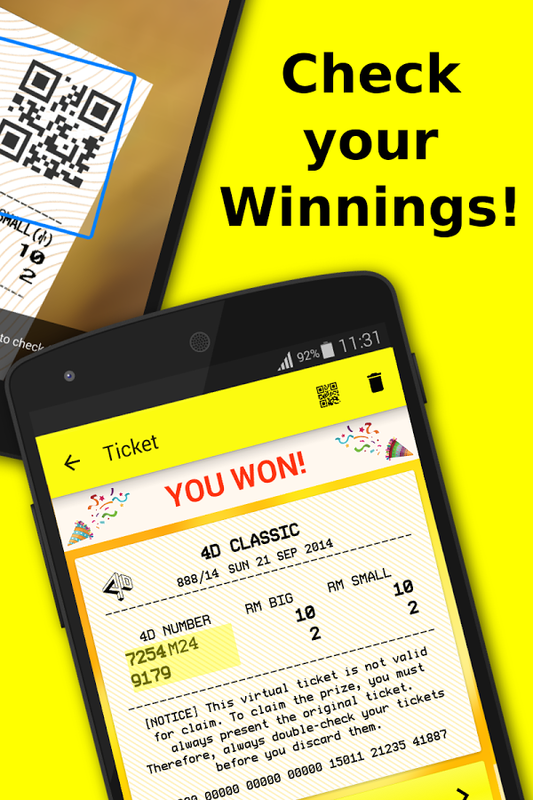 Magnum, a gaming company uses QR Codes on their lottery tickets. In 2013, tea store Chatime created an official account on the messaging app, WeChat. This was the first time WeChat partnered with a beverage company. WeChat and Chatime allowed customers to buy their second beverage for only RM1. 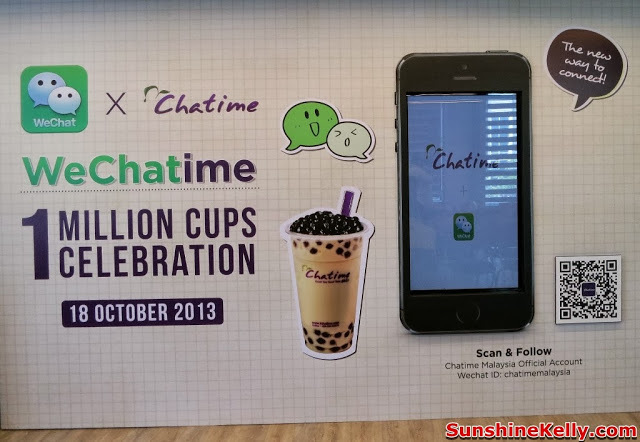 To avail this offer, users had to follow Chatime on Wechat and scan their QR Code. The partnership marked the celebration of Chatime selling 1 million cups. This move also allowed Chatime to engage better with customers on social media. 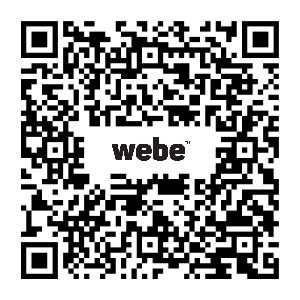 At the IMEX America trade show in 2011, MyCEB launched its interactive website and a custom QR Code. The QR Code displayed Malaysia’s iconic Petronas Twin Towers in its background. This launch was to help MyCEB compete well on international business events arena. 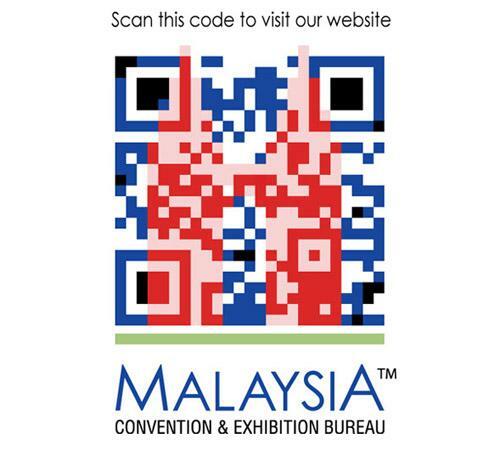 When scanned, the QR Code gave users an easy access to the MyCEB website. In April 2017, The Fisheries Department in Sabah decided to add QR Codes on local fishing boats. This initiative was taken to keep illegal fishing boats at bay. The QR Code will link to the boat’s registration number and other necessary documents. The officials will be equipped with QR Code scanners to help them verify these documents. In 2017, Maybank, a Malaysian bank, launched a pilot project called—Maybank QRPay. The app is a cashless mobile payment system that uses QR Codes. Maybank QRPay allows pay for products purchases by scanning a Maybank QR Code. 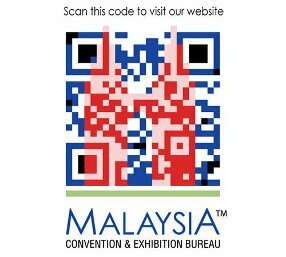 The above use cases make the popularity of QR Codes in Malaysia evident. Both private and Government bodies use QR Codes to engage their audience. If you are a print marketer in Malaysia who wishes to use a global approach to engage audience, use QR Codes.